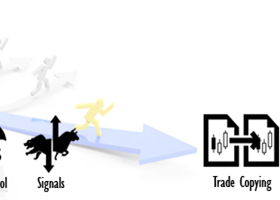 In this blog I'm going to tell you about the greatest popular secret about this forex market. Please keep in touch with this blog. I know some people don't believe this. But it was the unpleasant truth of the forex. I'm not a professional trader but I'm a coder. I studied about lots of things related to this forex market. As my experience and my knowledge I will explain this to you. You can trust this or not. But I think that is the way this forex market works. Okay, Let's move on to the discussion. If you have any question about this please don't hesitate to ask. And also please comment your feedback here. Forex is also a business that we can make profits or lose. As a programmer I know all these computer systems and network systems are based on some kind of programming. So the forex market also powered by this computers and networking things. 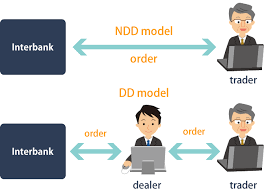 Dealing Desk (Market Maker) , Non-Dealing Desk (STP) or Non-Dealing Desk (STP+ECN) is the main classification. Okay, what do you think about these two types of brokers? I know most of you saying Non-Dealing Desk brokers are good, because they give low spreads, fast execution and you think they give direct access to liquidity providers etc. 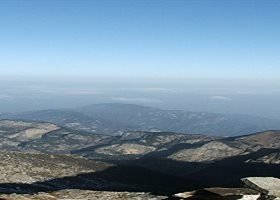 Why you think Dealing Desk brokers are not good? Lot's of people says their spreads are high, price manipulation happens, low speed execution of trades etc. Yeah that's really true. But the thing is not happens in there. Most of the brokers are innocent. They also want you to make profits. But sometimes Dealing Desk brokers are doing such things to lose your money. But not the all Dealing Desk brokers doing that. Brokers earn through the spreads, commissions, swaps and other fees. So they don't trade like traders to make profits. I hope you know about Stop Loss Hunting. We know this is basically doing by Dealing Desk brokers. Do you know why I discussed about these brokers stuffs? No matter how you trade through Dealing Desk or Non-Dealing Desk broker, all forex market prices, quotes are giving by the interbanks. So they are the main price controllers. But there was several things to keep in mind. 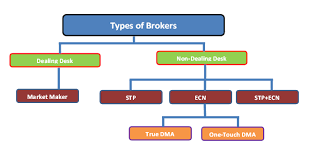 When we trading through Non-Dealing Desk type broker we trade directly with the liquidity providers. Non-Dealing Desk brokers only have the prices and quotes. So if we trade through Non-Dealing Desk broker we can't trade directly with the liquidity providers we have to go through the broker to prices and quotes. So broker can manipulate the price and it can lead to loss of your deposit. Do you ever think about what if liquidity providers manipulate the market prices??? I think no one. Because if they manipulate the price no one knows. Because they are persons who controlling the market prices, market conditions. So they can do anything. Interbanks are the main control center of the forex market. As I mentioned before it's a huge computer system that runs programmes. So I'm a programmer and basically I'm making programs to identify market behavior and make profits. So do they, but different method. 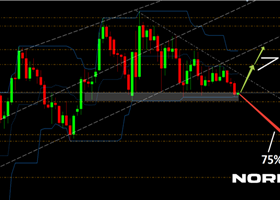 We trade with Order price, Buy or Sell, SL, TP, Lot size and Currency pair. If you trade through Non-Dealing Desk broker you'll directly access to interbanks. So interbank system will know your Order price, Buy or Sell, SL, TP, Lot size and Currency pair. Not only for one person, everyone's trading details will know the inter banks. They know who buys, who sells, how much of the trade etc. Now the work going to the computer programme. This also kind of EA but it always make profits. I'll give you a small example for this case. Let's imagine there was only EURUSD currency pair and there was only two different traders trading with the market. Both traders buy EURUSD same price at a time. Now what happens?? Two buys are identifying by the programme with all information that mentions above. then what happens to the price, programme will decrease the price. Now both traders are in loss because programme set the price to make their profits not the trader. When they both sell EURUSD same happens. programme will increasing the price. Then both traders are lose. What happens both trades open opposite trades. one will open buy and other will open sell. In this case volume is going to play his role. If buy volume and sell volume is equals, Programme decide to change nothing. So price doesn't changes. if buy volume is higher than sell volume, Hope you can understand now. Programme will decide to loss bigger volume trade. Then price goes down. Buyer lose seller profits according to their SL, TP values. (Most of the times they both lose). Above cases can explain whole market conditions. So this is the reason for 96% of forex traders lose money and end up quitting. Most of the times that programme will lose the bigger volume of the trades by changing the price. Smaller volume trades survives, But interbanks make huge profits by losing the big volume. As long you are in the small volume you will survive. That's how market works. If we have access to those mentioned information we can also make a 100% profitable EA. Unfortunately that's not how it works. Interbanks will always make profits. Keep all this in mind. So now we know how it works. I will give few tips to avoid these things. but it can't avoid all the risk. NEVER USE SL and TP. Non-dealing desk broker will know all your price values. So in my opinion I suggest to use dealing desk broker to trade. this might have risk of manipulating price by the broker. Somehow any time you can lose your trades. But try to keep in the small volume order. But as a small volume traders the risk is very small. But keep in mind, It doesn't matter how much your trade volume is there was only buy and sell, Up or Down. As programmers we trying to crack that main system with available resources. But anyone still not found a way to do it.